What makes John Rechy a Chicano writer? To be Latino, must writing have a touch of "magical realism"? Can one talk of U.S. Latina/o identity, considering the diversity of the Latina/o experience? Through the analysis of nine recent Latino/a novels, Karen Christian answers these and other questions, thereby adding a fresh, bold voice to the anti-essentialist debate surrounding ethnic and gender identity. Christian melds the theory of "performativity" with the latest scholarship on ethnicity and ethnic literature to create a framework for viewing identity as a continuous process that cannot be reduced to static categories. Through their narrative "performances," U.S. Latina/o writers and their characters move among communities and identities in an ongoing challenge to the notion of Latina/o essence. This study is also among the first to examine trends across the spectrum of cultures represented in U.S. Latina/o literature--from Chicano to Cuban to Puerto Rican to Dominican. 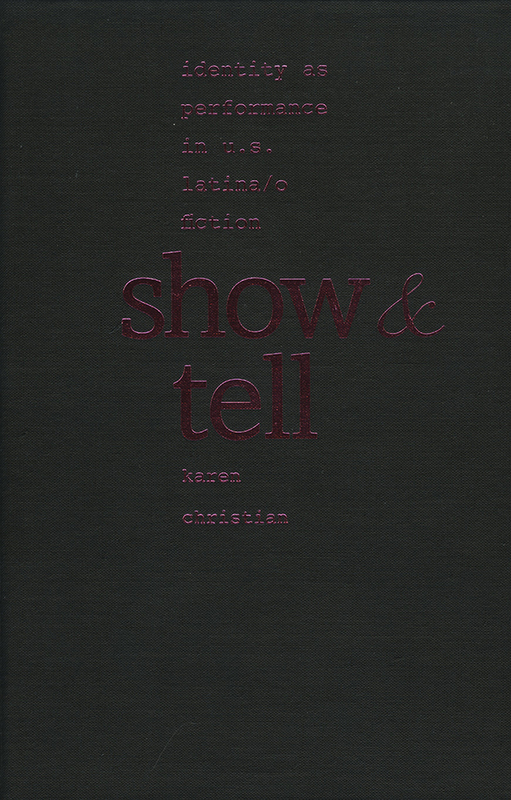 Show and Tell is essential for any serious student of Latina/o literature and identity. Karen S. Christian is vice president of Kareli Authors, Inc.